Banks are everywhere, and most of us have an issue with our bank at one time or another. 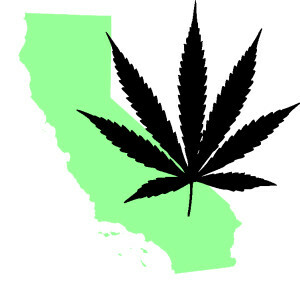 However, for legalized marijuana merchants in California, these issues are never-ending. From finding a business account, to the fear (and reality) of having that account closed without notice, Californian marijuana merchants are in a mess when it comes to finding and keeping a bank account. While the idea of a marijuana bank is great, in the long-term it may face issues. The main issue is the Fed. The Federal Government is an issue because 1) the regulate the banking system, and 2) marijuana is still illegal in the Fed’s eyes. Yes, even though so many states have some form of legalized marijuana, it is still a federal crime to possess it. Because of its federal illegality, banks are not wanting to deal with these business. However, a cash-only business is hazardous, as there is no way to verify or recoup the funds if stolen. Cash-only businesses are at a higher risk for burglary, and sadly, it happens often. While the industry as a whole is at a higher risk of being robbed, those who advertise that they are cash-only have put a target on their backs. Instead of all of this chaos, marijuana merchants need to search for a medical marijuana payment processing account. Yes, it is possible to find a legal payment processor for the marijuana industry. While banks are tightening the reigns on who they will, and will not, work with, the marijuana payment processing industry is picking up the slack. There are many who claim to be educated and experienced in the industry, so be sure to do your research. Not all are created equal, and even processing fees can vary with each processor. Processing fees are huge, and high processing rates can sink a new or struggling company. However, before going with the processor with the lower rates, check around and do not rush. Be sure to do your research before signing on with a marijuana payment processor, as this is one of the most important things you will invest in for your business. For Medical Marijuana Payment Processing, contact us today! This entry was posted in California Marijuana and tagged California Marijuana Bank, California Marijuana Industry, medical marijuana payment processing by admin. Bookmark the permalink.